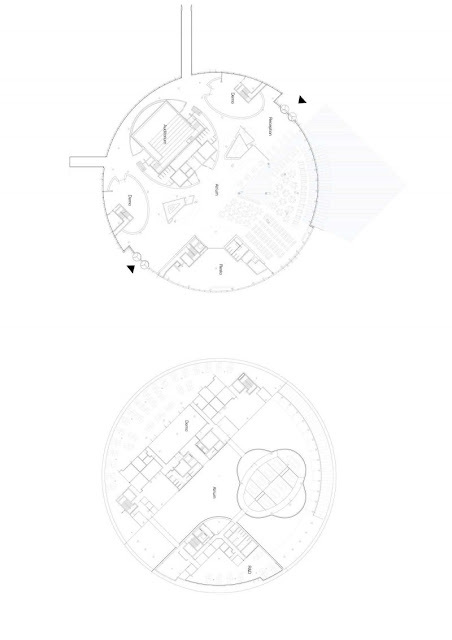 Barco One Campus by Jaspers-Eyers Archi-new - Free Dwg file Blocks Cad autocad architecture. 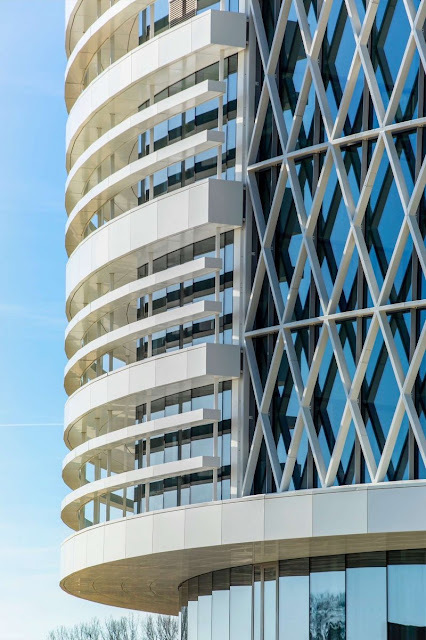 Archi-new 3D Dwg - Free Dwg file Blocks Cad autocad architecture. 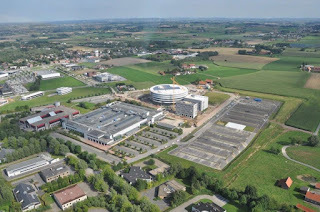 Barco needed a centralised infrastructure because the distance between the sites in Kortrijk and Kuurne was getting to be too much for the employees. 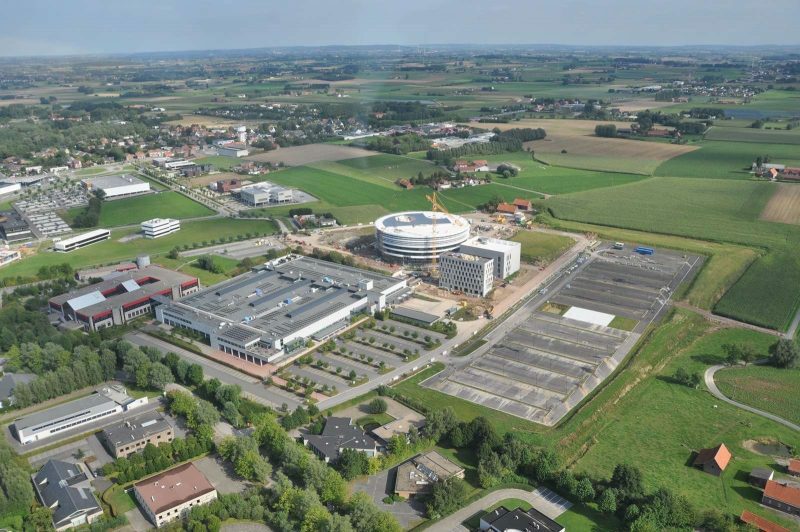 This centralising structure has been located next to the existing corporate buildings in Kortrijk, close to the E17. 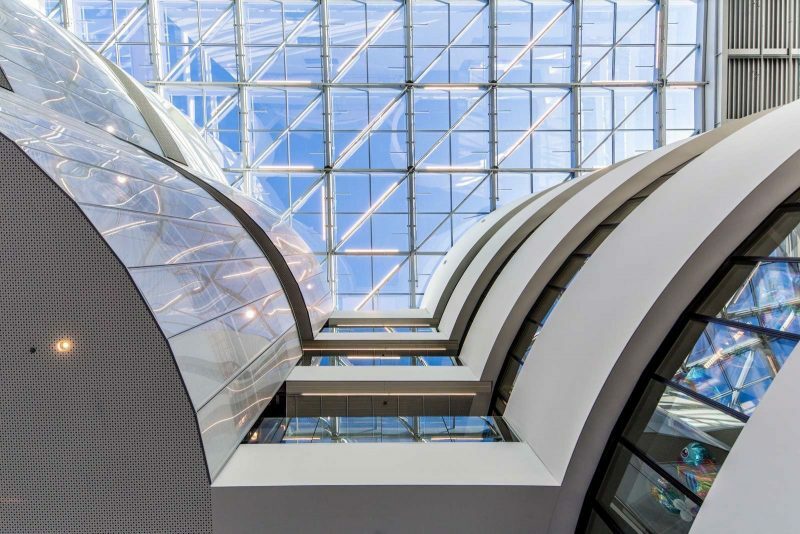 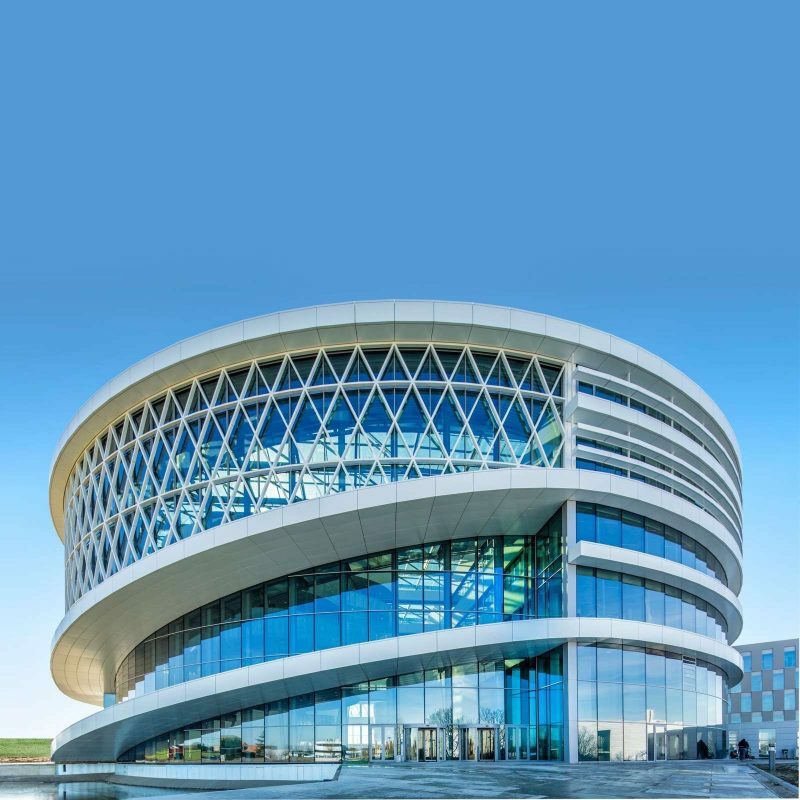 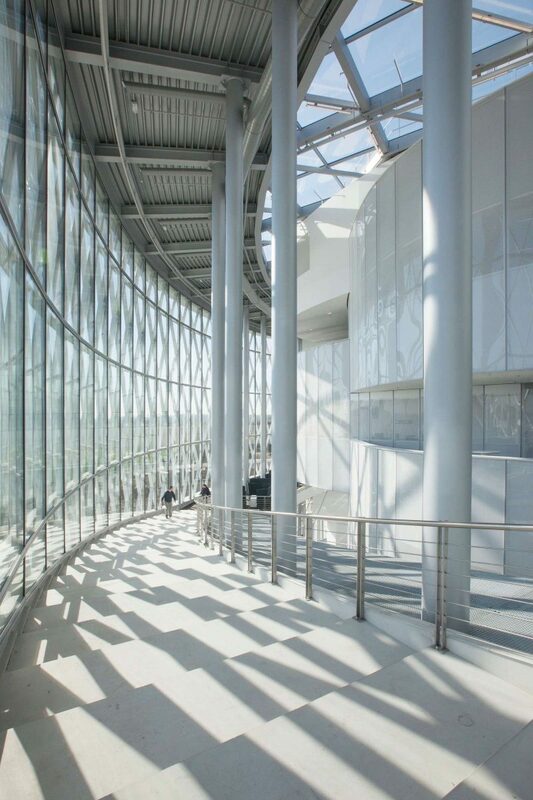 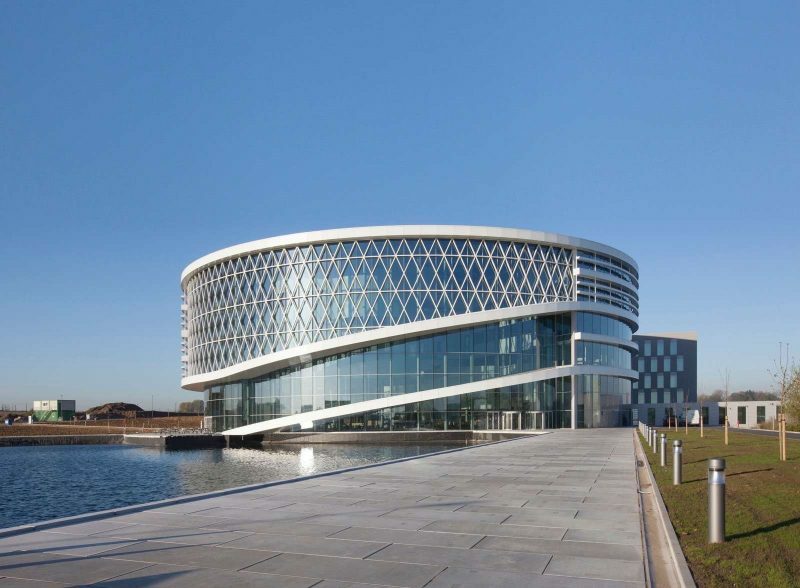 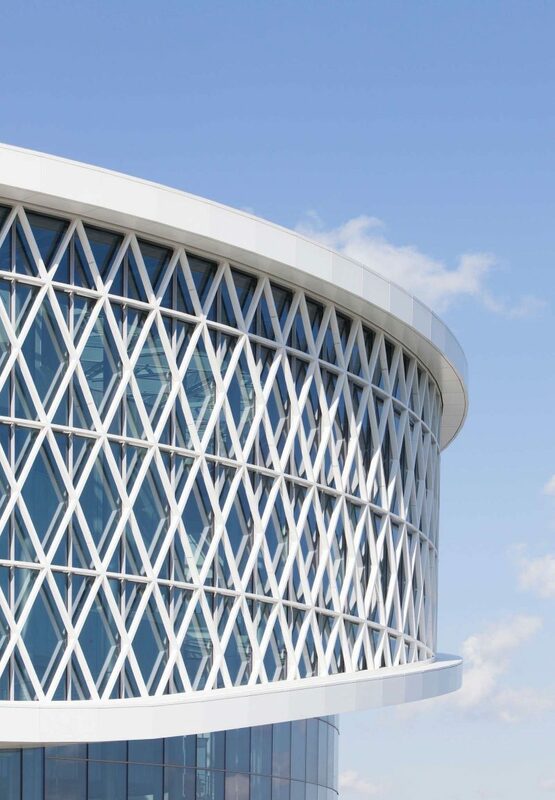 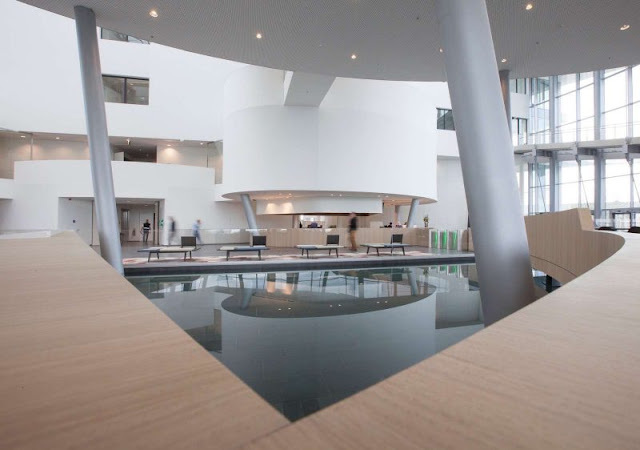 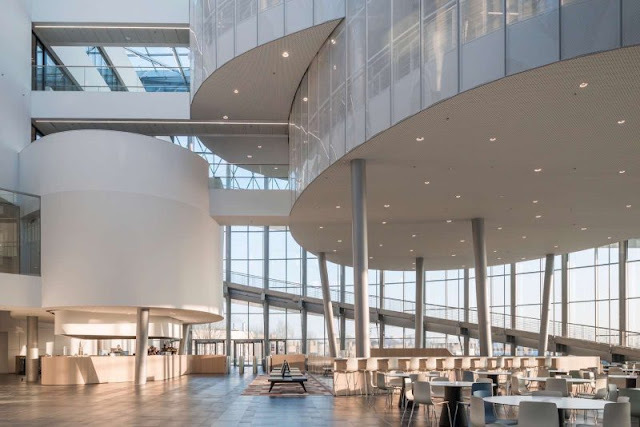 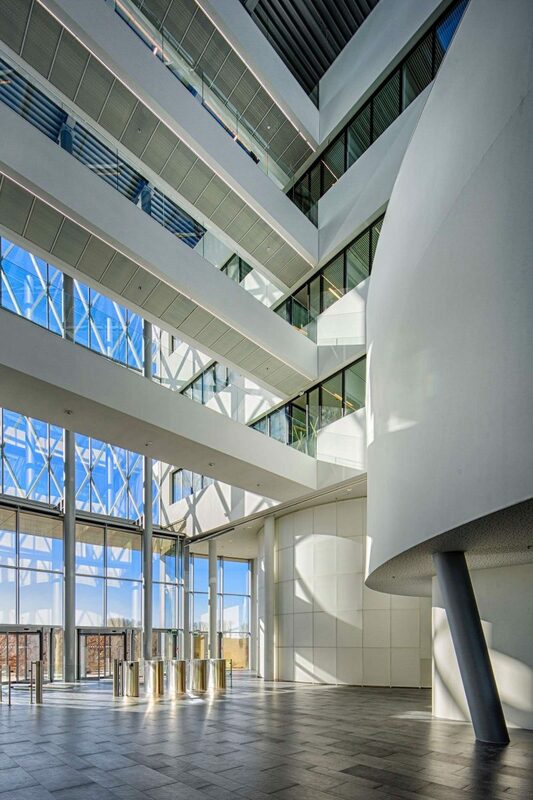 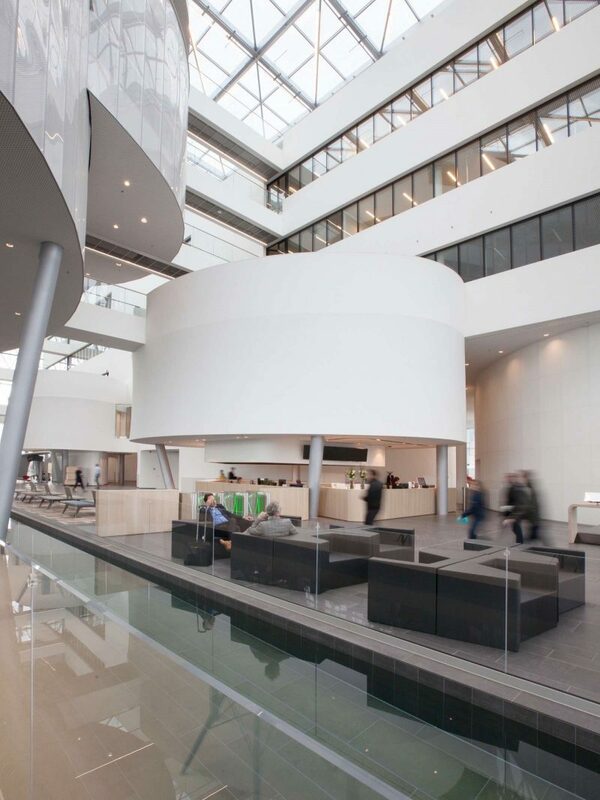 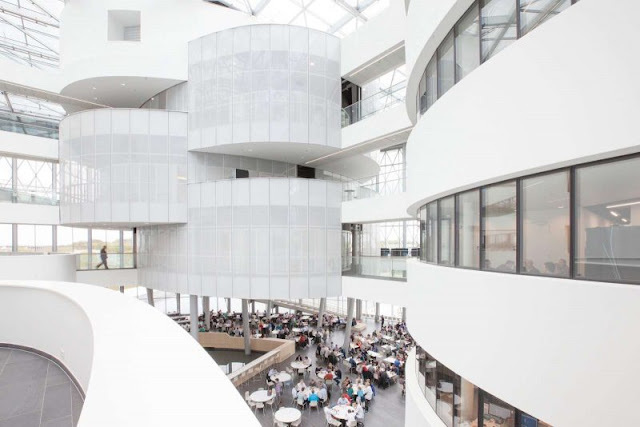 The new campus’s crowning jewel is ‘The Circle’, Barco’s new headquarters. With a diameter of 75 metres and a height of 25 metres, this monumental building can be seen from far and wide. 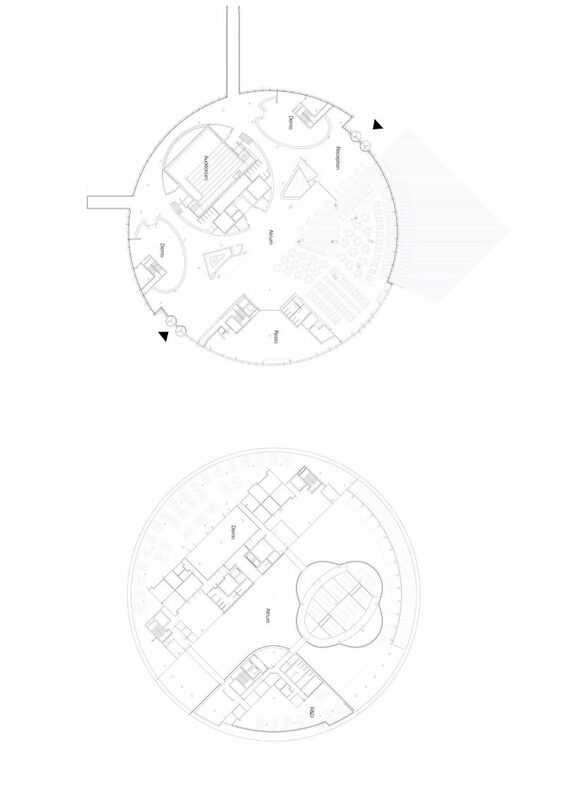 ‘The Circle’ will house offices, research and development spaces, demonstration spaces, an auditorium and a company restaurant. 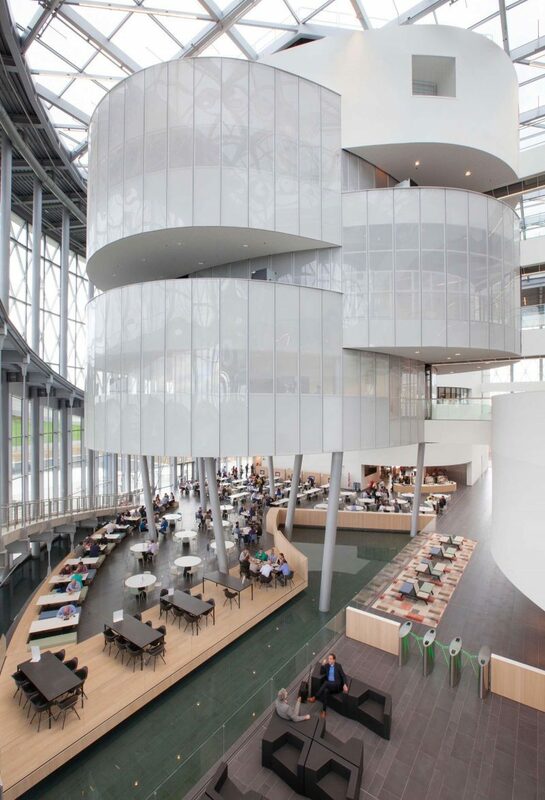 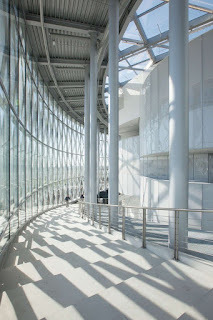 The building’s main purpose is to serve as a space for Barco’s employees and visitors to interact. 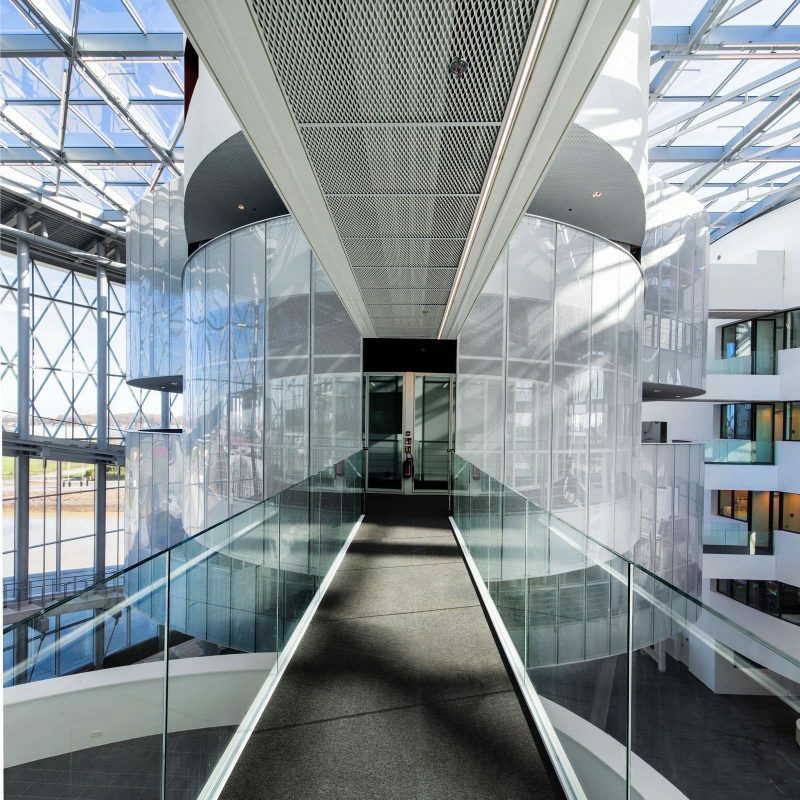 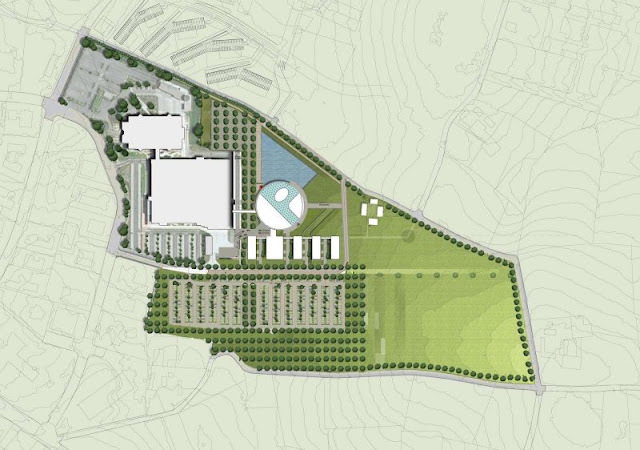 This was achieved through the centralised layout of the site, in which corridors link the building with The Lab (a research lab), The Pulse (an additional office building), and The Engine (an expansion of the existing production units).